Making Positive Psychology Work podcast. sheets to make their insights easy to apply in workplaces. My guest today is Jessica Amortegui, a leading expert in positive psychology and positive organizational scholarship in organizations. Jessica is the Senior Director of Learning and Development at Logitech. This interview was produced in partnership with the Center for Positive Organization’s Positive Business Project. ● [2:15] – Jessica talks about need for meaningful experience in order to open people’s hearts and minds to new ways of leading. ● [4:05] – How Jessica got Logitech leadership and the team to buy into a two-day workshop course on leading through positive psychology. ● [5:50] – Jessica shares what she taught the workshop attendees to get them so enthusiastic about these new philosophies. ● [8:21] – Jessica talks about balancing the science and the experience in teaching these practices to team members. ● [10:00] – The perfect job vs. the best job for us. ● [12:18] – Jessica talks about job crafting at Logitech. ● [13:49] – Job crafting through mastery, meaning, and membership. ● [15:49] – When might job crafting might not be ideal? ● [17:51] – Management support and involvement is vital to creating system-wide change. Thanks so much for joining me again this week. If you enjoyed this episode, please share it using the social media buttons you see at the bottom of this post. Also, please leave an honest review for the Making Positive Psychology Work Podcast on iTunes. Ratings and reviews are extremely helpful and greatly appreciated. They do matter in the rankings of the show, and I read each and every one of them. And finally, don’t forget to subscribe to the show on iTunes to get automatic updates. It’s free! Special thanks to Jessica for joining me this week. Until next time, take care! Quick tip: You can save this podcast to your favorites, so you can access it quickly and easily later! Just click the “Add to Favorites” button to save it forever. You can then find it later in My Toolkit -> My Favorites. Felicia Huppert on What Is Wellbeing? Do your people get stuck on the hump of politeness and struggle to have honest conversations with each other? 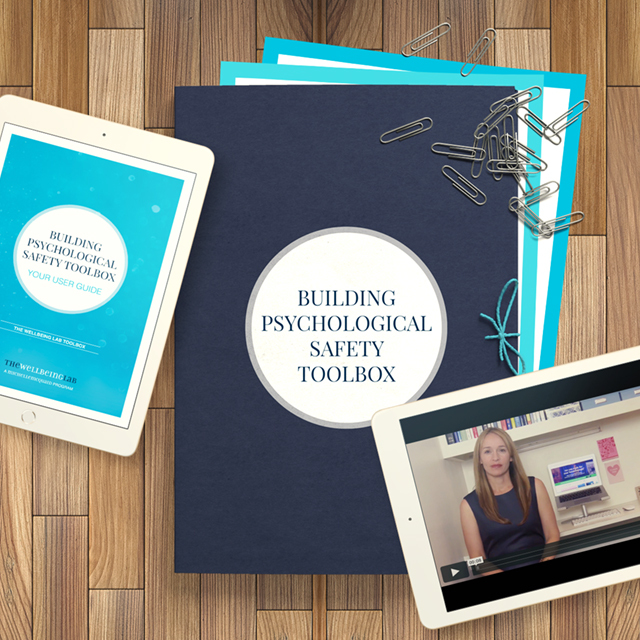 Use this step-by-step toolbox to improve psychological safety, enabling them to give one another the feedback they need to learn and grow at work. Get the support you need to thrive in 2019 – and help others do the same. © Michelle McQuaid. All Rights Reserved. Enter your email now to get evidence-based, busy-proof, ideas and tools from the world’s leading positive psychology researchers, so you can start truly flourishing at work.